Roadshows and campaigns organised by the government in various parts of the country and abroad to increase tourist footfall in the Valley have not yielded the desired result. SRI NAGAR: Roadshows and campaigns organised by the government in various parts of the country and abroad to increase tourist footfall in the Valley have not yielded the desired result. Former president of Kashmir Hotel and Restaurant Owners Federation (KHAROF) Javed Ahmd Burza said the daily encounters in the Valley and negative media coverage was keeping tourists away. “Tourists have been avoiding Kashmir since last year’s unrest following Burhan Wani’s killing. The tourist footfall this year is less than 10 per cent,” he said. 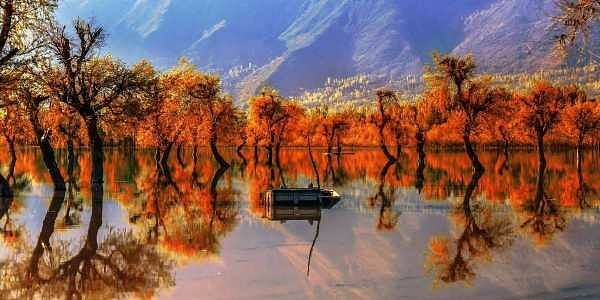 “Whenever tourists return to Kashmir, the government creates a lot of hype and claims normalcy has returned. Politicians should delink tourism from politics and treat it like another business,” Burza said. The state tourism department had released a short film titled ‘Kashmir: Warmest Place on Earth’ in September, which had garnered over 16 million views across various social media platforms. But it failed to revive tourism in the Valley. Kashmir Houseboat Owners Association president G R Siah said both domestic and foreign tourists had been staying away this season.“We met Union Home Rajnath Singh and told him the negativity being projected by TV channels was hurting us. He expressed helplessness saying the channels are independent,” he said. The prevailing situation in the Valley with encounters happening almost every day, negative media coverage and last year’s unrest and violence during the Srinagar Lok Sabha bypolls has reduced the tourist footfall this year to less than 10 per cent, several people said.